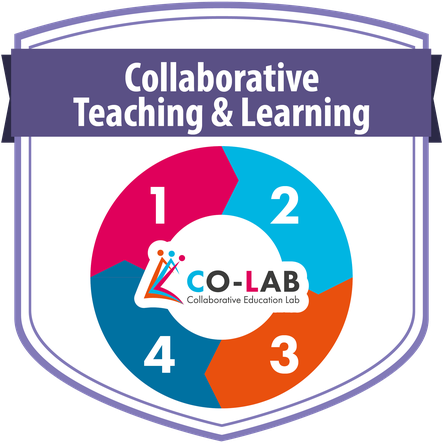 4.1 How can teacher collaboration facilitate collaborative learning? 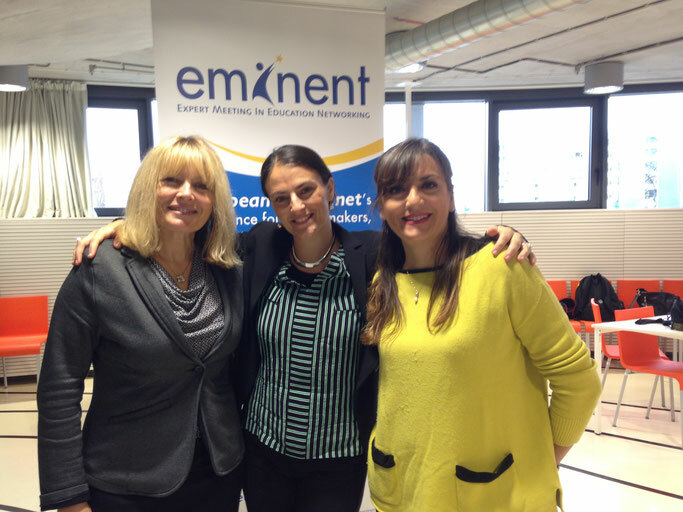 As Module 4 is about teacher collaboration, I'm happy to share a photo of my eTwinning colleague and friend Patrizia Roma and one of the moderators of this MOOC, Caroline Kearney, who I had a pleasure to meet in person at the EMINENT 2016 conference in Prague, where Patrizia and I participated in a panel on eTwinning and digital citizenship. Finalize the development of one or more lesson plans integrating collaborative learning and assessment, as well as elements of teacher collaboration, using the Learning Designer. Peer review the collaborative learning lesson plans of two course participants. 4.1.1 Q&A Session with Prof. Deirdre Butler! Below are the recording of the Q & A webinar with Prof. Deirdre Butler and the Padlet with questions posted by the participants of the course. Valentina Marinova, a primary school teacher from Bulgaria shares her experiences about collaboration and cooperation with her colleagues. I have been collaborating closely with some of my colleagues from my school, but our collaboration is focused more on professional development or applying for projects than on teaching collaboratively in the classroom. I have had guest teachers in my classroom, and I have also been a guest teacher in other teachers' classrooms, both at my school and in other schools, but it was more cooperation than collaboration. I would love to be able to work with another teacher and co-teach students. I have extensive experience in collaborating with other teachers in eTwinning projects and in designing and facilitating professional development courses. Working collaboratively with my colleagues is a rewarding process of inspiring each other, expanding our strengths and combining our ideas into a new whole. It doesn't matter if collaboration happens online or onsite. My collaborators may be with me in the real world or they can be a thousand miles away from, but we'll collaborate successfully and efficiently. I absolutely agree with Reyhan that 21st century teachers need to have a PLN - Personal Learning Network. 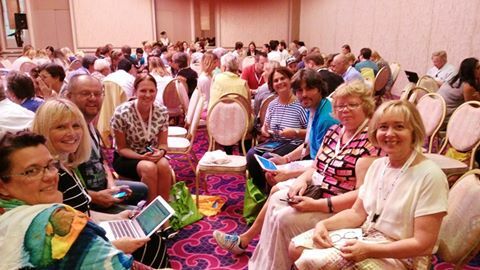 A PLN connects like-minded teachers who learn together, create new content and share what they have learned. Sharing is at the heart of a thriving PLN. George Siemens and Will Richardson are regarded as the forerunners of PLNs. According to Richardson, a personal learning network is "the rich set of connections each of us can make to people in both our online and offline worlds who help us with our learning pursuits". A PLN is similar to a staff room, but it is "open" 24 hours a day because it comprises teachers from all over the world. Because of the time difference there is always a teacher there who knows the answer to your question, has a solution to your problem, can recommend a tool or an app that has great potential in the classroom, is ready to start a new project with you or simply wants to chat with you about all thing educational. However, building a PLN is not enough. Once formed, we need to work on it, to maintain and cultivate it. A teacher who is actively engaged in their network, regularly contributes to it, plays an active role in discussions, creates new content and continually builds new connections. In this way the PLN grows and develops so that it supports the teacher's professional development. Online communities where teachers meet, connect, share experiences and learn from each other are excellent sources for informal learning. eTwinning is one of the platforms where teachers can connect easily and learn from each other. eTwinning learning events designed and facilitated by eTwinners, provide teachers with numerous opportunities to connect, communicate, discuss, share and exchange ideas in a user-friendly way. Social networking sites such as Twitter, Facebook, LinkedIn, Instagram and many others also offer opportunities for professional development. I collaborate with teachers from different countries on a daily basis - more than I collaborate with the teachers from my school. Every year I try to engage my students in eTwinning projects and in order to do that I connect with teachers from different subjects and also different age groups who want to connect their students with mine. There is a huge array of web 2.0 tools that we use to collaborate, such as Google docs, Skype, Adobe etc. The biggest problems that we face in eTwinning projects are different schedules, lack of time and many other commitments that we all have. I agree with Majella that if we want to teach students to work collaboratively, we need do model it in our work. Collaboration skills encompass the skills of negotiation, conflict resolution, efficient distribution of tasks, decision making skills, respecting the ideas of other people, integrating ideas into a coherent whole, teamwork and leadership skills. In order to acquire all these skills we need to actively engage in collaboration. In my teaching practice I use a lot of different tools to help my students collaborate. We have Edmodo as our LMS and we use Google Drive extensively to work on collaborative tasks. I also us Titanpad to quickly share ideas and plans and Todays Meet to set up a quick backchannel or a chat room for my students. Of course, my students also use Twinspace to collaborate with their peers from other countries. 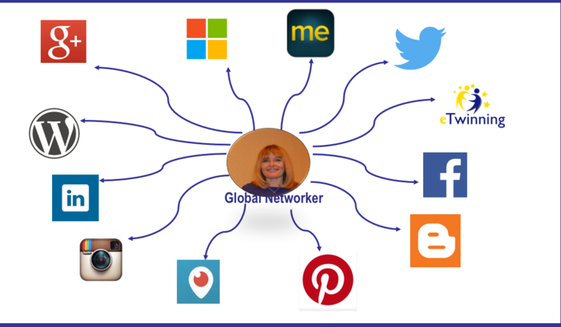 With my colleagues I connect and collaborate on Facebook, Twitter, Yammer, Google Drive and eTwinning Live just to mention a few. I think it is really important to collaborate with teachers who teach different subjects, because this can give us a completely different perspective. I often collaborate with a STEM teacher and we often disagree, but we discuss, negotiate and compromise all the time so that at the end we are both happy and satisfied with the result. I strongly believe that when students see teachers of different subjects work together, they become aware of the importance of interdisciplinary approach and even more importantly, they see that such an approach is possible. This will undoubtedly lead to students' understanding that they should connect content, methods and ideas from different disciplines. Here's the link to my learning designer: Random Acts of Kindness Christmas Calendar . I plan to implement this lesson plan this and the following week, so that students can share their calendars with their peers from all over the world. PS: I have also created my own Random Acts of Kindness Christmas Calendar for Fellow Teachers that you can use to perform one act of kindness a day - starting from December 1, 2016.